While everyone may be hung over from their Black Friday and Cyber Monday shopping, smart shoppers will already be looking toward the next big holiday to save themselves from a last-minute shopping headache. With around a month before Christmas, it’s probably a smart idea to get started with our Christmas party preparations. Nobody wants to get stuck scrambling at the mall getting everything ready before their guests arrive! This goes doubly so for company Christmas parties—for many of our clients and friends, the annual party is the big event of the year, a time to let one’s hair down and celebrate what has (hopefully) been a great year of work and fun. A major part of that Christmas cheer is gift giving. How do we show our employees that we care, that we value them enough to have put some thought into what we give them? Today we’ll share our ideas on how we can make your Christmas party all the more meaningful and special for your coworkers. Read on! No matter what size your office is, people like being recognized. From the mom-and-pop general store down the road to the bustling corporate office that takes up 20 floors in an office building, people like hearing their names and being praised. What we need to remember is that getting personalized gifts matters. 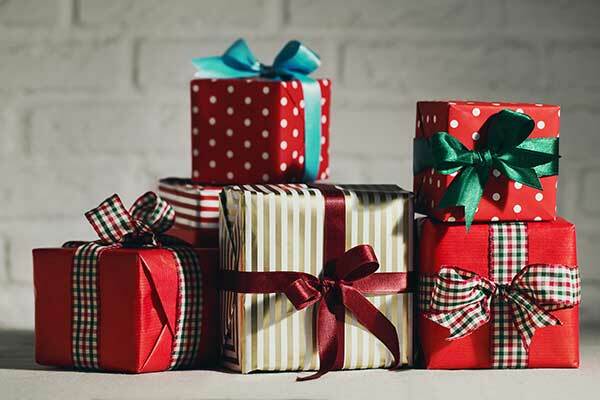 Yes, you’ll probably make a good number of your gift recipients happy if you get them the latest gadgets or trinkets. But what makes them stand out from the crowd, in that case? Even if you get all your employees the same thing, add a personal touch to it! An engraving, a personalized note — these are affordable, easy ways to make the gifts more meaningful. Employees love gifts that they can display and show off to passers-by, so why not make the gift a small, simple award personalized to each employee? We promise they’ll cherish it for years to come. People love parties with great food, great drinks, and great music, but without some way of putting your stamp on the evening it’s basically just a buffet that everyone happened to go to. That isn’t how you make the night memorable! Great Christmas parties are about your own traditions and memories. What better way to commemorate the end of the year than by creating your own trophies and awards that you can hand out to special awardees? This is the perfect time to really splurge on a silly Christmas award in the shape of a reindeer, or maybe a trophy for funniest employee. Take all the happiest memories of the past year and solidify them for everyone in the form of a gift. The next time they see that award or trophy on the person’s desk, they’ll think back to a great memory and a great year. While these are good ideas for your Christmas party, it doesn’t have to end there. Make this kind of recognition and award-giving a central part of your company culture and we guarantee it’ll pay dividends for employee morale and happiness. Everyone likes being recognized, everyone likes reminiscing about the good times. Trophies and awards are tools to do just that. Yes, you can give out money—people like that too, but it’s a really impersonal way of recognizing someone’s efforts. 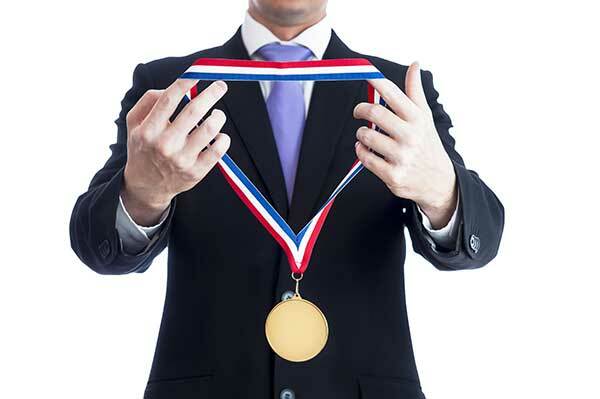 Instead, you can have the best of both options: if someone deserves monetary rewards, give it to them and give them a small award or trophy to commemorate it. We at Great Lakes Trophies & Engraving have options for budgets of any size. Whether it’s Christmas, birthdays or any other occasion – we offer a wide range of customization services to fit your needs and budget. To learn more about trophies and awards that we can create for you, give us a call at 734-266-1815 or fill our online contact form and we will get in touch with you.